Gen-Tec nutrition will help you train smarter and feel stronger! With fourteen years of experience in formulating exceptional quality nutritional supplements for bodybuilders and elite athletes, Gen-Tec has an established reputation throughout Australia and internationally and can provide you with all you need to help your body perform and recover well. Founder Nick Jones, sports nutritionist and bodybuilder, has built his company on the principles of health science. He and his dedicated team of product developers use a combination of herbs, essential oils and minerals, vitamins and amino acids to create a range of products all designed to maximise your performance and replenish your body’s natural balances. Every Gen-Tec product is manufactured using the latest hi-tech processes, including cold ultrafiltration, and continually refined through clinical trials and ongoing research. You can be sure that when you choose a Gen-Tec supplement, you’re getting the very best in nutritional support. 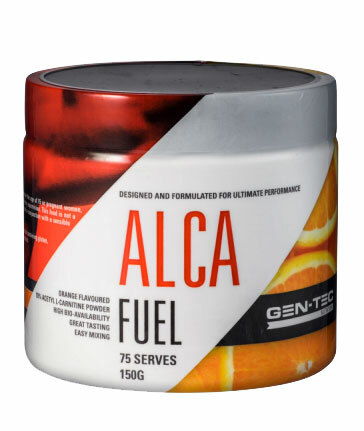 Whatever your discipline, Gen-Tec have a product to boost your training regime, from fat busting with ALCA Fuel, to muscle building with Pro Mass, to recovery and general vitality with Gen-Tec Nutrition Pure Carbs and Macro Whey. Men and women can benefit from Gen-Tec’s range; the only prerequisite for use is the passion to achieve your best and care for your body. Gen-Tec products are sold in liquid and powder form, ready to be mixed and consumed quickly for optimum absorption into the system, and are flavoured naturally for your enjoyment. As a bodybuilder himself, Nick understands the wear and tear on the body that can occur with a high intensity training routine. His commitment to the science of nutrition ensures that Gen-Tec supplements specifically target key areas of depletion, such as muscle catabolism and immune reduction, to speed up your recovery time and give your body the support it needs to maintain peak training ability while managing the demands of your everyday life. And in case you’re wondering if it really works, consider Nick’s achievements! Following a disciplined personal program that includes the use of Gen-Tec Nutrition products, he has earned a number of prestigious bodybuilding accolades including Mr. Australia, Mr. World and first runner-up in the coveted Mr. Universe competition. The Gen-Tec team also represents a range of elite athletic disciplines, including bodybuilding, cycling and kick boxing. Please remember, Gen-Tec encourages responsible use of its products and stresses that all nutritional supplements should be consumed in conjunction with a clean, balanced diet and adequate exercise.